If tipping is customary at your business, then both you and your employees have to meet tip-reporting responsibilities. (Tipping is most common in restaurants, bars, nightclubs, hotels, resorts, and other similar service establishments.) The Fair Labor Standards Act (FLSA) and the Internal Revenue Service (IRS) have special rules for employees who routinely receive tips. 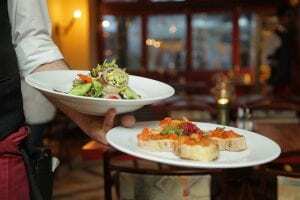 Under the FLSA, tipped employees include those who regularly earn at least $30 in tips each month, such as waiters, waitresses, bartenders, and other front-end employees who have frequent, direct contact with customers. Business must pay these employees according to the federal or state minimum wage standard for tipped employees, whichever is higher. The IRS requires that employees document and report (to their employer) tips amounting to $20 or more per month. Employees can record their tips on IRS Form 4070, Employee’s Report of Tips to Employer, or a comparable form, which must be submitted to their employer no later than the 10th day of the month that follows the month in which the tips were received. Although employees do not have to report tips of less than $20 per month to their employer, they must report such tips on their federal tax return. Employers are required to withhold federal income tax, Social Security tax, Medicare tax, and applicable state and local taxes from their employees’ wages and reported tips. If the employee does not earn enough wages and tips to cover all taxes for the current pay period, taxes should be withheld in the sequence or order stated by the IRS. Uncollected taxes may be withheld from the employee’s next paycheck if enough funds are available. The total annual reported tips for large food and beverage employers must equal no less than 8 percent of the company’s annual sales. If the reported tips are less than 8 percent of annual sales—which can happen if employees fail to inform you of all reportable tips—employers need to allocate tips to make up the difference. Although allocated tips are not subject to withholding taxes, they must be reported on employees’ W-2 form, which also should show reported tips, taxes withheld, and any uncollected Social Security and Medicare taxes. Uncollected taxes should be reflected as an adjustment on the employer’s federal tax return as well, such as on its quarterly Form 941. Additionally, large food and beverage employers must file Form 8027, Employer’s Annual Information Return of Tip Income and Allocated Tips, with the IRS. Cognizant that employees are not always honest about the amount of cash tips they receive from customers, the IRS has developed voluntary tip agreements. Such agreements are designed to promote tax compliance and accurate tip reporting among tipped workers. For instance, you can enroll in the Tip Reporting Alternative Commitment program, which requires that employers train and retrain employees on their tip-reporting responsibilities. Contact us today if you need help ensuring that you and your employees understand your shared tip-reporting responsibilities.